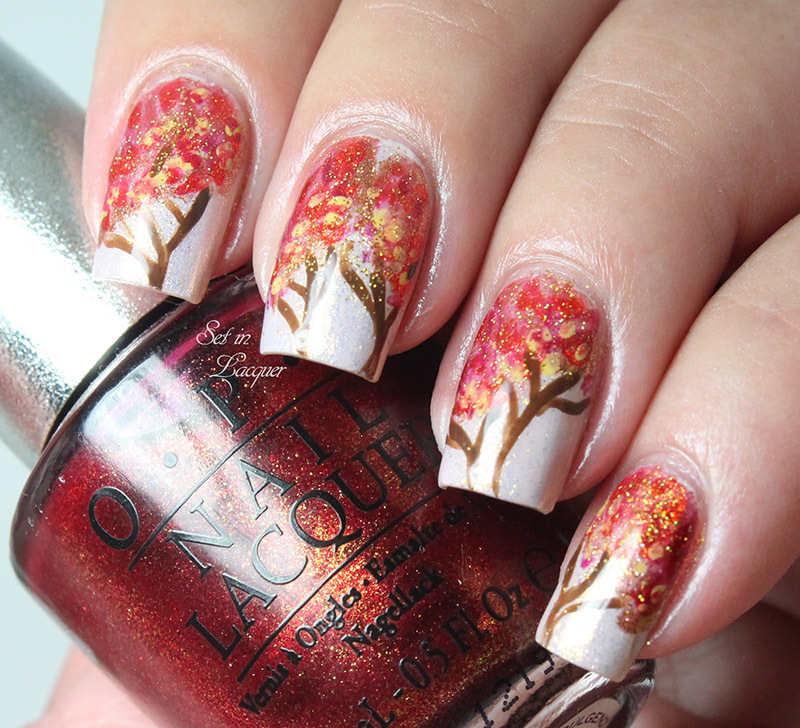 Before I go to visit family and stuff myself with some amazing food, I want to share some fun nail art with you. 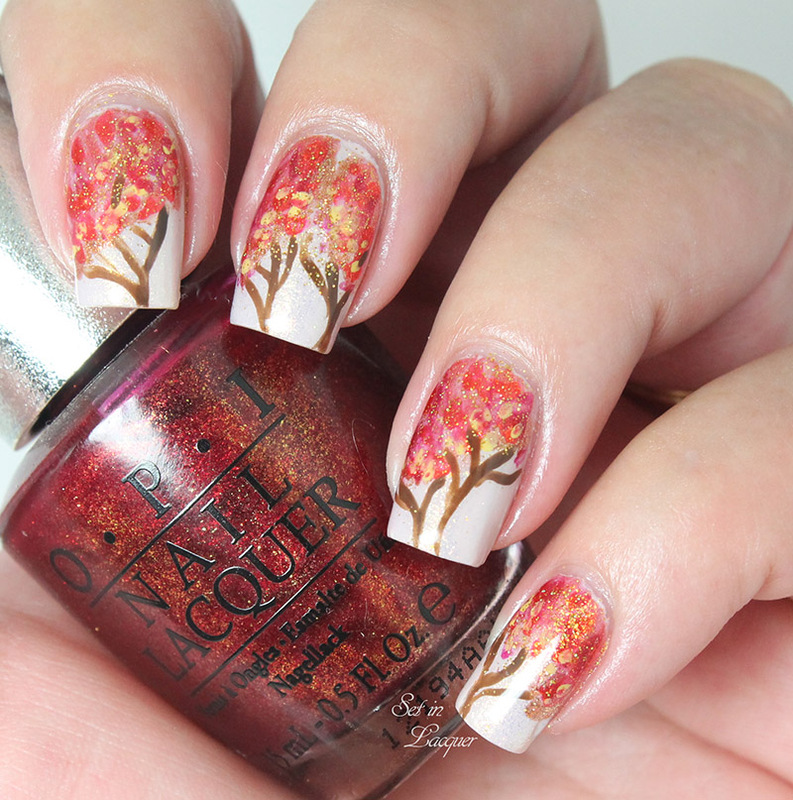 I wanted to do some fall nail art for Thanksgiving. I didn't want to do the typical turkey. 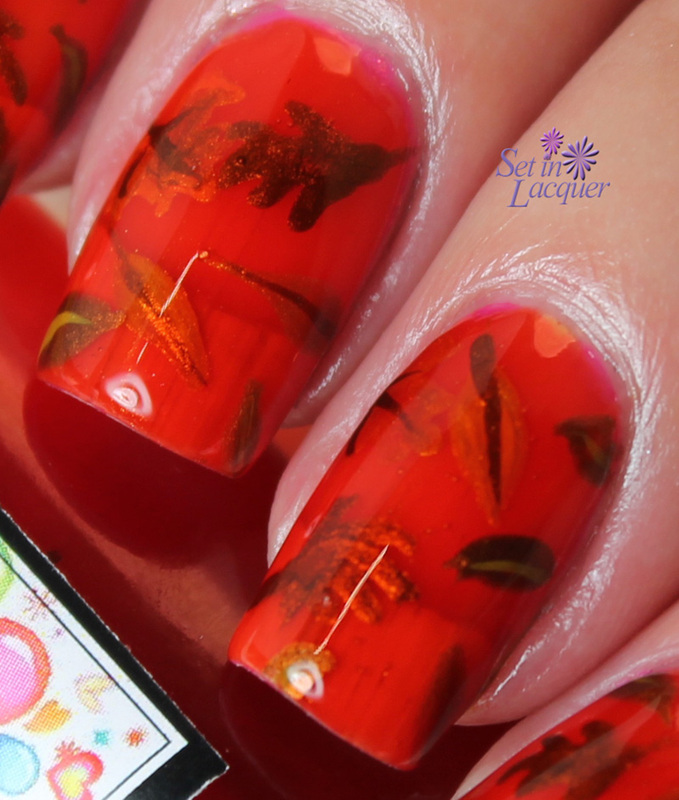 So a friend, Ashley over at Ashley is Polish Addicted suggested a leaf pond mani. 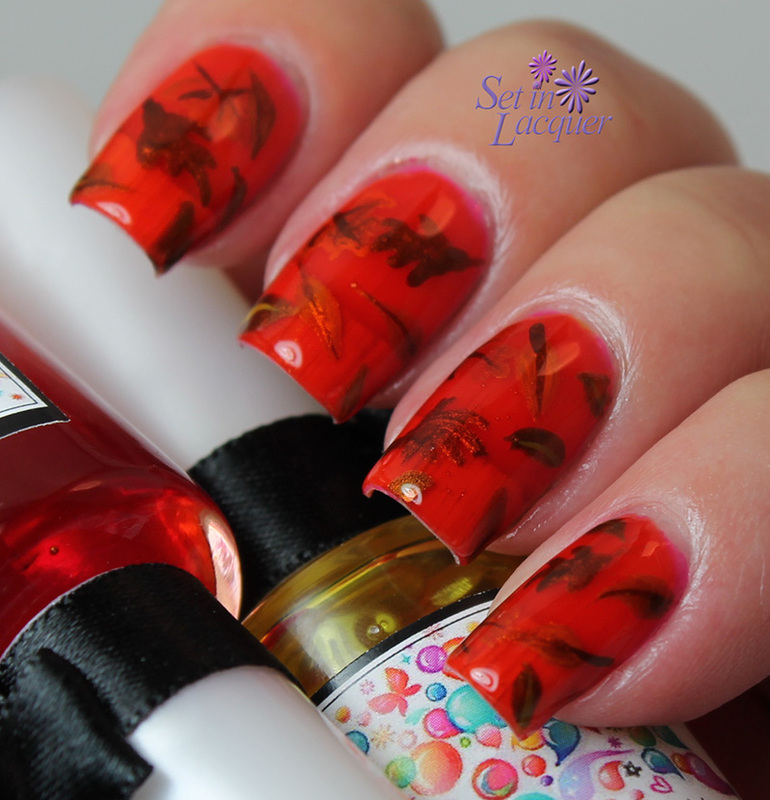 A pond mani is when you use jelly, or tinted polishes and paint the designs between the layers. When you do this, it looks like the layers in a pond - everything is floating at different levels. I started off with a coat of Strawberry Wine from Colors by llarowe. 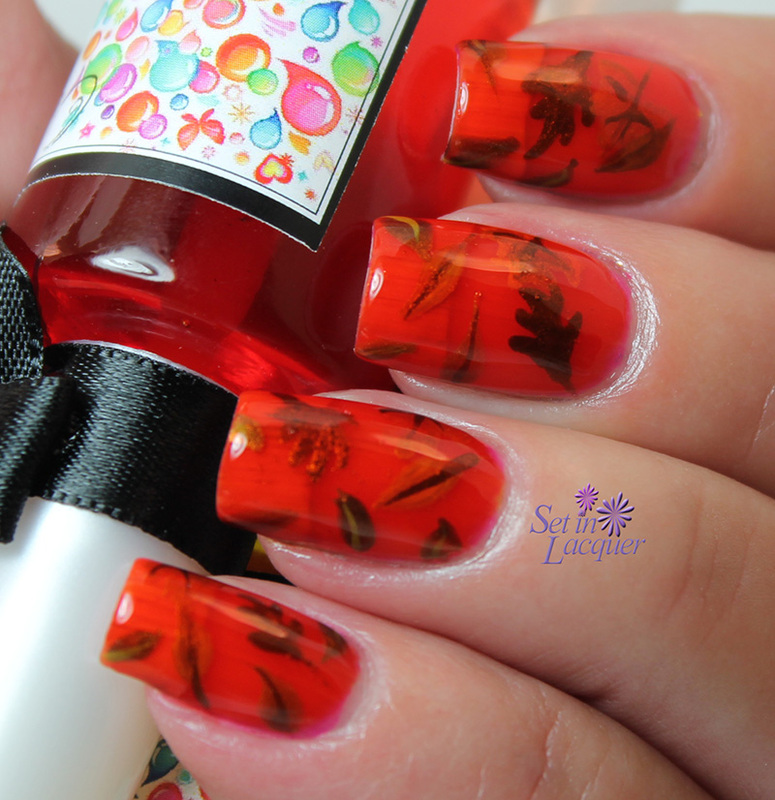 When you use this polish make sure to use two coats of base coat to minimize staining. Then I used a coat of Esmaltes Da Kelly Yellow from the Soap Bubbles collection. 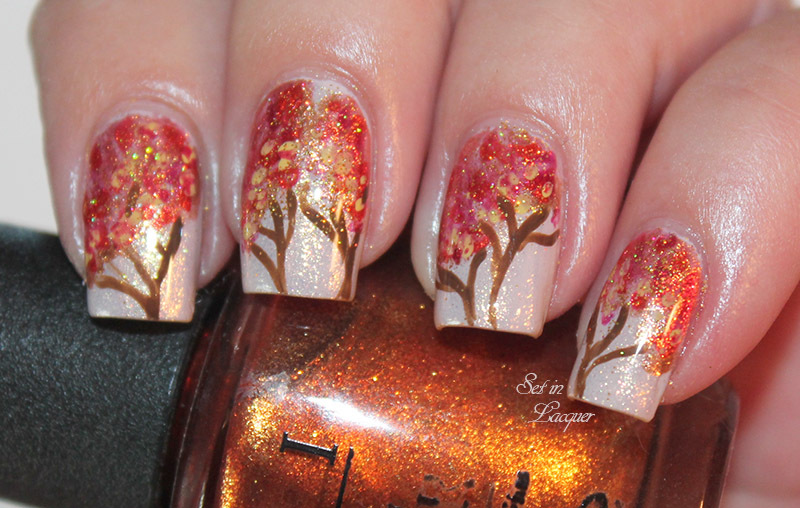 I used varying shades of brown and gold acrylic paints for the leaves. Then I did this several more times. Occasionally I would use the Esmaltes Da Kelly Red or Orange tinted polish. 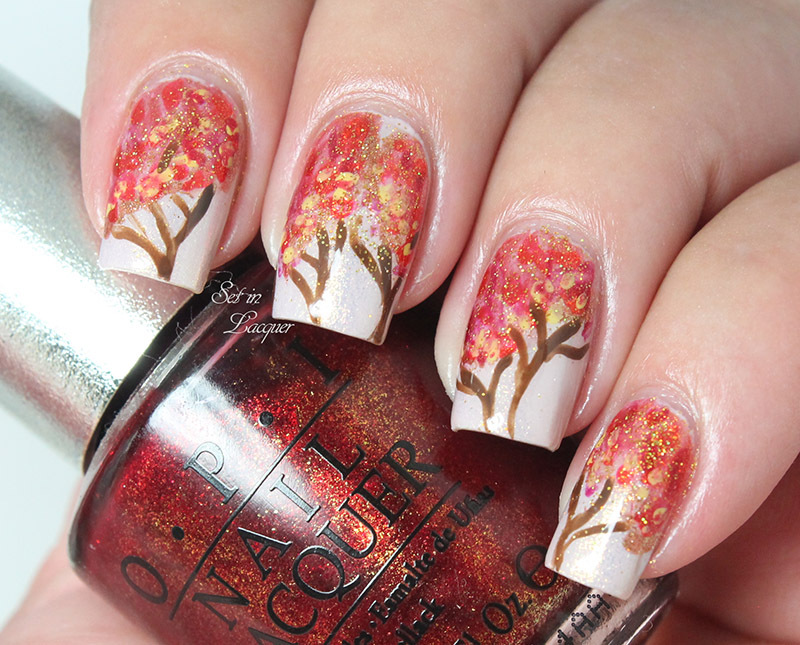 I did this four times total and then topped it off with a coat of HK Girl top coat. I like how it turned out. 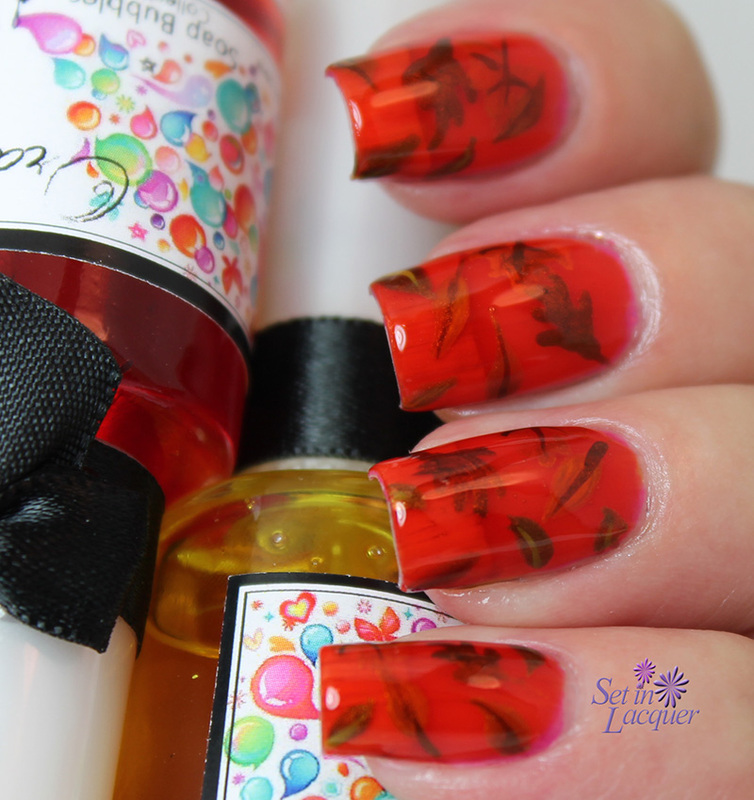 It has a lot of depth and the colors combined into a rich golden orange shade. It looks like the leaves are suspended in a rich amber. 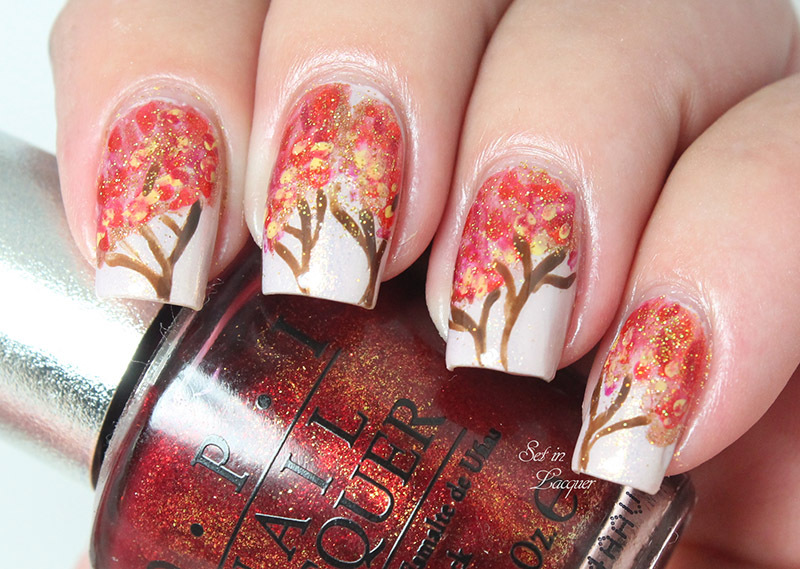 What's on your nails for Thanksgiving? I purchased these polishes from Llarowe.com. All opinions are my own.